I thought that I knew how to tie the rolling hitch! Well, that was till I wanted to investigate if further for my video tutorial. 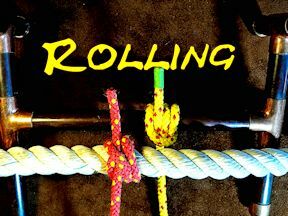 I soon found that that there are a few variations of the Rolling Hitch. I also found out that the rolling hitch also used to be called the Magnus Hitch. 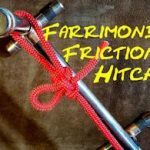 A Rolling Hitch is a simple friction hitch that is used to attach a rope to a stanchion, pole or another rope. 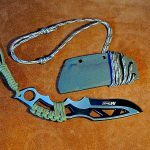 Depending on the object that you are attaching the Rolling Hitch to, will depend on how it is tied. 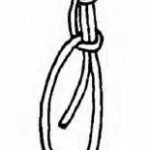 The first version of the Rolling Hitch is probably the simplest of all three versions and this is where a rope is attached to a pole. 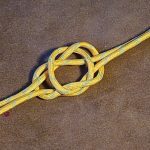 It really does look like a Clove Hitch with an extra turn at the beginning. In the video tutorial this procedure will be made clear. This is slightly more complicated as the first two turns are passed over the standing end of the rope. Then the Rolling Hitch is finished in the same way as the one above. 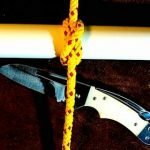 When tying the Mangnus Hitch the hitch is started in the same way as the Rolling Hitch to a Pole, however, the final hitch is created so that the working end emerges from the Magnus Hitch in the same direction as the standing end. One thing to ensure is that the Rolling Hitch of Magnus Hitch is dressed up nice and tight to start with. 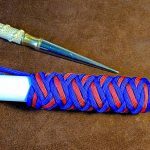 It has also been said that in modern slippery rope the Rolling Hitch needs to be treated with caution when used under various conditions. In which case friction hitches with more turns and complexity may be more desirable.